Type HT listed, factory-built, all stainless steel 6" chimney section for E-Classic 1450 furnaces. 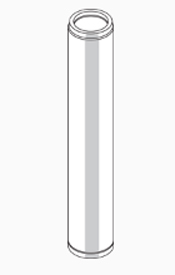 Sections are four feet long. 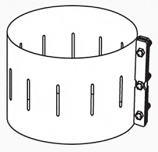 Chimney locking band (pn 6500011) or chimney band clamp kit (pn 9535) should be used at each joint. For outdoor applications only. Not to be used for venting of indoor heating appliances.